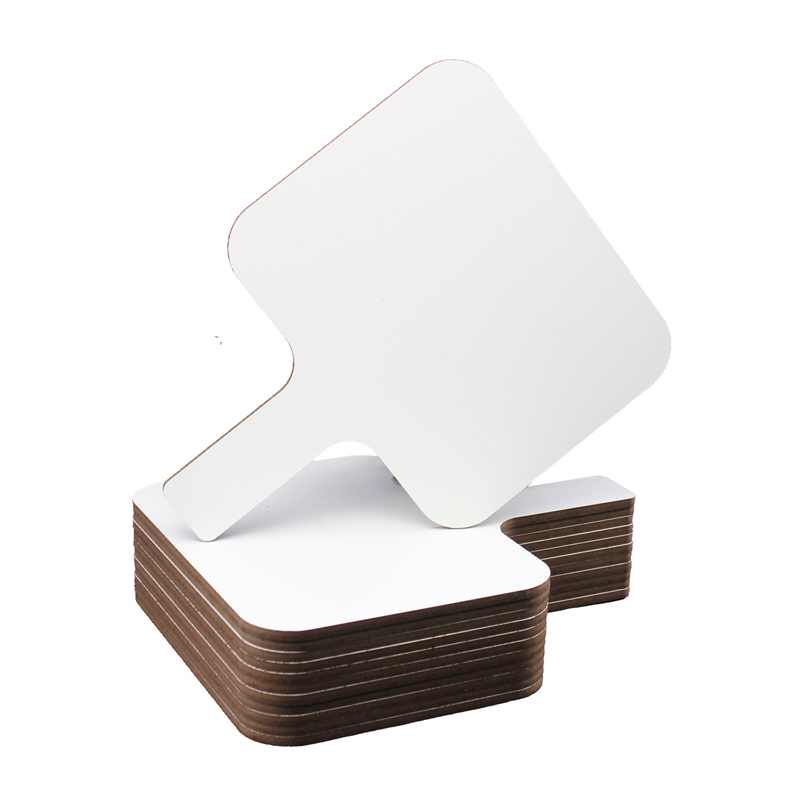 Quick and quiet whole class participation made easy with Rectangular Answer Paddle. Great for review sessions, surveys, assessment and more! High quality, non-ghosting dry erase surface with an easy grip handle and smooth edges. 8" wide x 9.75 high x 0.25 deep" writing surface with an easy to hold handle. Class Pack of 12. Made in USA.